Everyone is familiar with the signs of an anxious dog. Panting, pacing, barking – all par for the course. But with cats, anxiety can be harder to spot. For a long time, I thought my cat Henri was just a jerk. He would tear up the carpet under any closed door (much to the chagrin of my apartment complex). He would make sounds like he was pummeling the door any we shut it. When thunderstorms would come, he would begin to breathe heavily and bite or chew on anything he could find – pillows, socks, blankets, my foot. Or, he would compulsively lick. He would lick my hand raw and has even licked holes in drywall. I can’t count the number of times I yelled at him to stop, threw a pillow at him to get him to stop banging on the doors, and shoved towels under the doors so that he couldn’t try to dig his way out. But then one day, during an anxiety attack of my own, I had a realization. Henri wasn’t being a jerk. He was having anxiety. When he and I were alone and all of the doors in the apartment were open, he was calm. When the sun was shining, he was my sweet and snuggly kitten again. But as soon as a door closed and noises came from a place he couldn’t see, all bets were off. But, as I researched and eventually, asked his vet, he was indeed suffering small panic attacks. Anxiety in cats is different than dogs, because their baseline of behavior is different. Often, when we are looking for symptoms of anxiety in cats we automatically think it will be the same behavior as in dogs, however, because the normal set of behaviors is different in cats the way they show anxiety will be different to. Urinating outsideof the litter box. Just like in people and dogs, anxiety can be triggered by stress. This stress can be caused by environmental factors, for example, a distressing scent or loud unknown noises (like thunderstorms). If you have multiple cats in the household, the cats may be causing each other anxiety or stress. Moving furniture or getting new furniture can also cause stress and anxiety because it removes some of the smells they have spread through the house. Going to the vet, riding in cars, and moving to a new home can also cause stress and anxiety in cats. When doing any of these activities, it is important to try to minimize stress as much as possible. You can relieve anxiety in your cat through natural methods. Some environmental stressors can be changed to positively affect your cat. For example, getting your cat on a daily routine can alleviate anxiety and help regulate their nervous eating. You may need to keep cats separated if they are showing aggression toward each other, which can also help relieve stress. If your cat is anxious during car travel, interactive toys can help take their mind off of the drive. You can also calm your cat by bringing a toy or blanket in their crate that smells like home. 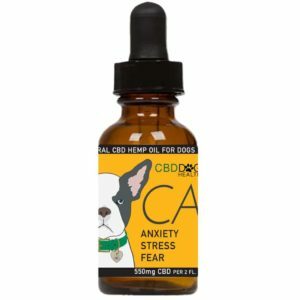 CBD is a fantastic way to relieve anxiety in cats. It works in the cat’s endocannabinoid system to restore a sense of equilibrium. 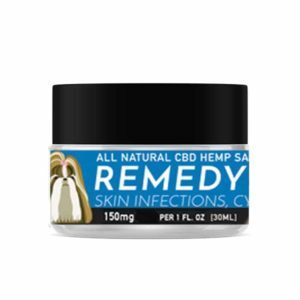 For Henri, CBD helped him relax and stop scratching the carpet and compulsively licking. It also helped Henri stay calm during loud noises, like fireworks and loud neighbors. Henri takes CALM from CBD Dog Healthwhich has 120 mg of full spectrum CBD hemp oil. If your cat is acting like a jerk, just remember, he might be anxious. PreviousPrevious post:Some heroes wear camo, some wear collarsNextNext post:Is it legal to bring CBD on a plane?